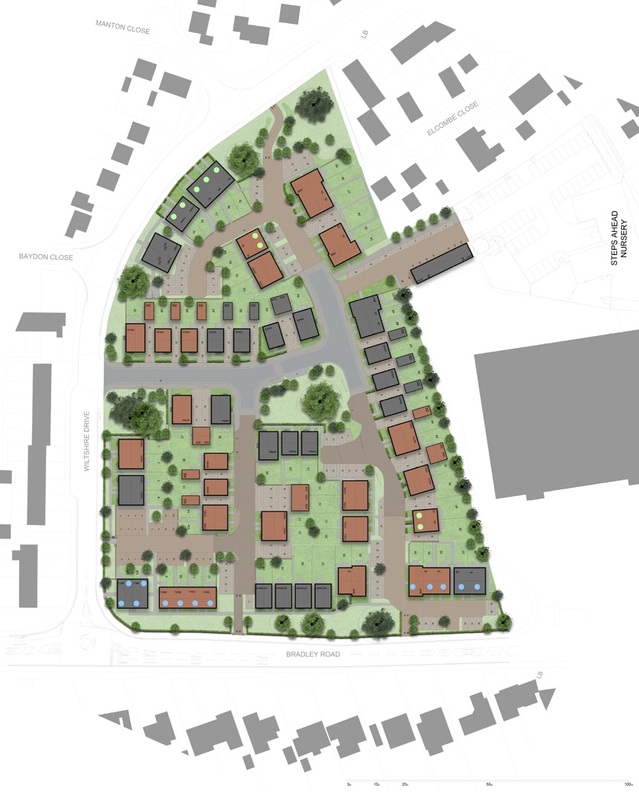 Our plans for 79 homes at Bradley Road, Trowbridge have now been approved and we are currently undertaking enabling works prior to the development commencing, with the first homes expected for release in 2019. The site covers an area of approximately 2.088 hectares and is located within the settlement boundary of Trowbridge, on the corner of Bradley Road (A363) and Wiltshire Drive, and is the site of the former West Wiltshire District Council offices which was demolished in 2014. The site was also occupied by the Trowbridge Driving Test Centre, until their premises were vated in 2008. Pre-application discussions commenced with Wiltshire Council Planning Department and were subsequently followed by a public consultation. Following feedback received from Wiltshire Council Planning department, Wiltshire Councillors and local residents the proposals were updated, resulting in the proposals which were noted as an exemplar scheme and supported by Wiltshire County Planning department. The site has been designed to address the many constraints it has whilst enhancing the protected (TPO) trees retained, respecting the separation distances from existing residential dwellings and responding to the scale of the existing surrounding houses. As a result, the regeneration of this brownfield site includes the enhancement of both the landscape and ecological environment whilst accomodating 79 homes, consisting of 1, 2, 3 and 4 bedroom homes which range from two to two and a half storey in height.